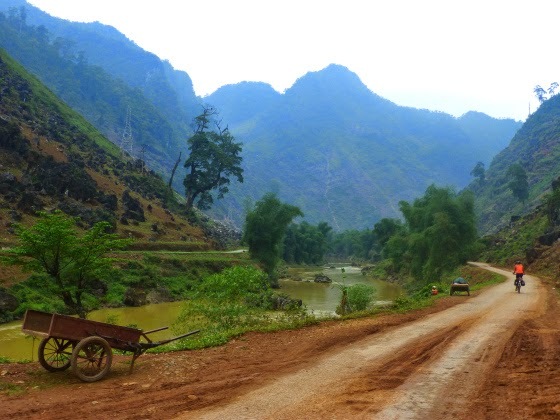 After strenuous days in the mountains and as Johan had caught a cold we spent a lazy day in Ha Giang before moving on to our next destination Sapa with the highest mountains in Vietnam. 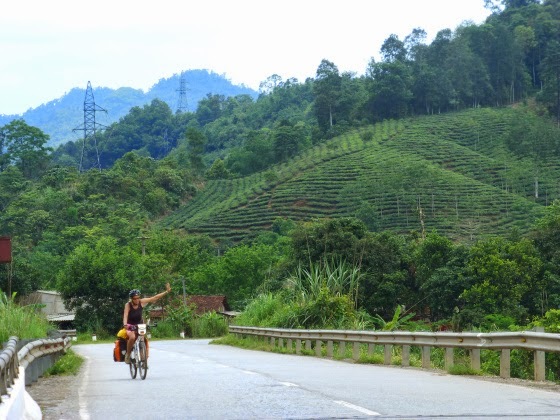 It took us three uneventful days on ever undulating roads to get to Cao Lai, a town at the bottom of the mountain that leads to Sapa and a border crossing to China. The next morning was my birthday and Johan organized a nice breakfast at a 3-star hotel next door. When we entered the breakfast room at 6am sharp our table was nicely decorated, ‘Happy birthday’ music was playing and a few minutes later I got a bunch of flowers and balloons! What a lovely and surprise. It is unforgettable menmories in active travel Vietnam trip. 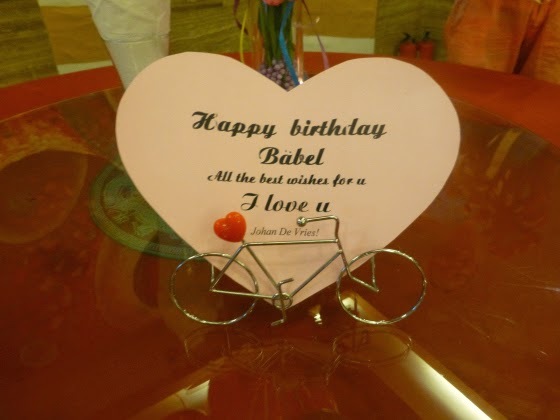 By 7am we had filled our stomachs with yummy food, decorated my bike nicely and were ready for another challenge. 36km uphill to Sapa, while the first 6km started easy as the road was mainly flat with just a few very short climbs not even worth mentioning. The real challenge begun afterwards. To make the climbing more fun (as if it was fun at all!!!) we played a game: boot camp with Baerbel the drill master. One set consisting of three times 20 minutes climbing followed by a five-minute break. The last 20 minutes were followed by a 15-minute break. This worked quite well except for the very end where ascents became so steep that we had to stop almost every kilometer. But we managed all way up to 1,600m in 4.5 hours without pushing our bikes. The rest of the afternoon we relaxed and ate delicious food. We spent two more days in Sapa to recharge our batteries and while we didn’t really like the mountain resort itself as it is far too touristic for us we enjoyed the cool temperatures in the mid 20′s and the food and relaxed atmosphere of our hotel. We also had great views of the Fan Xi Pan, the highest mountain in Indochina with an altitude of over 3,143m. 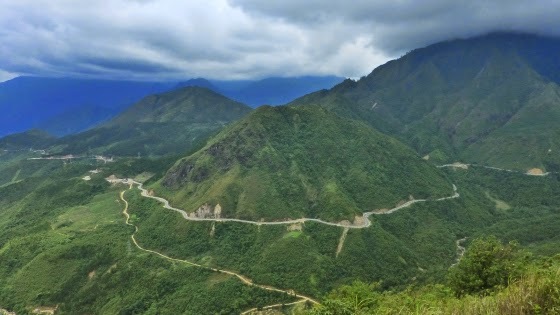 The day of our departure was another challenging biking Vietnam, even if only for the first part as we took Vietnam’s highest road leading over a 2,100m pass. We tackled the tough climb with mostly over 10% grades in about two hours and were rewarded with one of the most stunning views into the valley. From the top we could see the road winding down and were very much looking forward to a 30-kilometer downhill ride! A fantastic one with many stops to take pictures.